Two Gamry Instruments' potentiostats from the same family can be used in bipotentiostat configuration for the purpose of rotating ring-disk electrode experiments. This technical note shows you how to set up and run bipotentiostat experiments. We've also created two videos showing you how easy it is to connect two potentiostats in a bipotentiostat configuration. 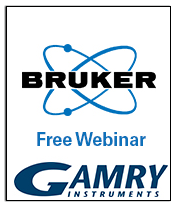 Gamry and Bruker recently teamed up for a webinar on FTIR spectroelectrochemistry. 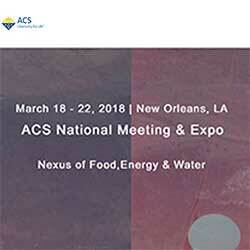 The combination of FT-IR spectroscopy with electrochemistry offers insight into the molecular change during electrochemical reactions in an addition to the electrochemical response of the studied media. This webinar was recorded and is free for you to watch. Register to download the recording of this webinar. Version 6 of the Gamry Framework Software is not compatible with Windows 10. If you are upgrading to Windows 10, please contact our technical support for more information on how to upgrade to the latest version 7.06 Software.